Looking for a haunted house story to pick up before Halloween? 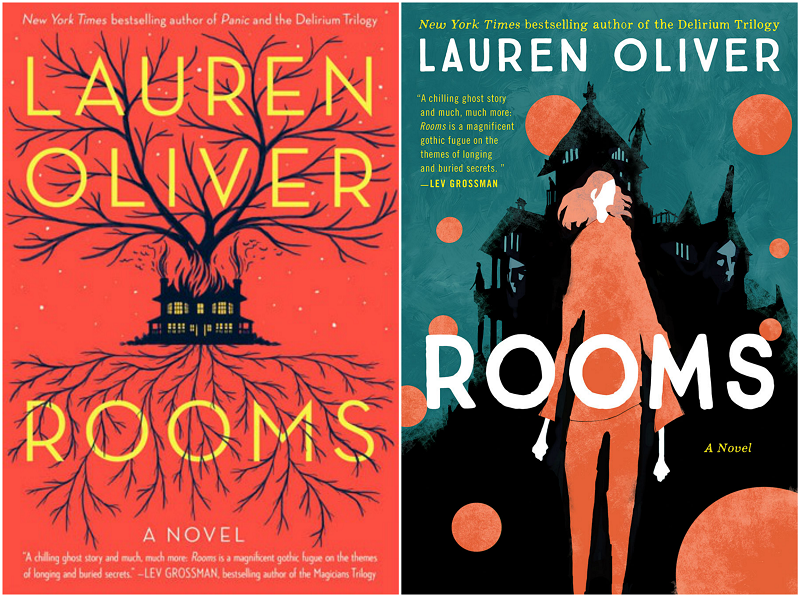 You may like Lauren Oliver’s Rooms, which is narrated by two ghosts. It doesn’t matter whether you’re a hardcover or paperback fan, because Rooms has already been released in both. Which cover do you find the most haunting? The hardcover (left) or the paperback (right)? Keep reading for a full synopsis of the novel and vote for which cover you prefer after the cut!